Estella Everstone is incognito, now "serving" as a companion to the elderly Mrs. Granton who unwittingly vacations at one of Estella's father's estates--Everston. And what ensues is a tumultuous tumble into love, matching of wits, deception and growth of character for both Estella and Dexter Blakely. A romance not dissimilar to Lizzie and Darcy--except Dexter lacks the more jerkish attributes of one of classic literature's beloved heroes. The Captive Imposter was unique as compared to its predecessors, thanks to the seclusion of the hero and heroine at Everston resort. It almost read like a vacation read, somewhat easier to follow than the other two books with it just being Estella and Dexter through out the story--but still a wealth of intrigue, romance and touching spiritual themes. Prejudices are overcome, faith is strengthened and forgiveness is had against the backdrop of Victorian-era New England and gothic-like mystery, leaving me excited for book four! 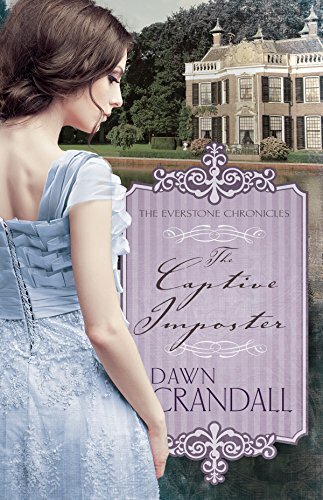 Dawn Crandall is an ACFW Carol Award-nominated author of the award winning series The Everstone Chronicles, which currently consists of: The Hesitant Heiress, The Bound Heart and The Captive Imposter. The Cautious Maiden is her fourth book and released October 4th, 2016.